I Bite My Tongue in my Sleep. Why? The good news is you’re not alone and there is a solution. Tongue biting is a common problem. Biting your tongue while sleeping is irritating.The damage done to the tongue can be quite painful and even visible. People who bite their tongue while sleeping commonly bite it on the sides or on its tip. This problem can begin at any stage of life.. Severe tongue biting problems can lead to tongue scalloping, soreness and ulcers. Tongue biting can also cause pain while speaking and eating. What causes biting the tongue when sleeping? Other causes include; rhythmic disorder, nocturnal seizures and sleep bruxism. All these lead to involuntary tongue biting. Let us look at each one of them briefly. Having seizures during the night can induce biting the tongue. If a person has chronic seizures they are likely to experience biting on parts of the tongue, especially the edges. A seizure is a is a state in which a person has lost consciousness, jerking movements are seen and the muscles stiffen. Some seizures however might be calm and therefore harder to be noted. Tongue biting is listed as a common symptom in people suffering from seizures. People suffering from nocturnal seizures may not have any other symptom during the day making it hard to determine the cause of the tongue injuries. However, the condition can be diagnosed by observing brainwaves. Prescription Medication is the primary Treatment for this condition. Once taken, the biting stops. The second potential reason for biting your tongue while sleeping is rhythmic movement disorder. Rhythmic movement disorder involves banging of the head, truck movements and rocking and rolling. Mostly common in children, it does not always result in injuries but when severe it can lead to tongue injuries. It involves repeated movements of the head and neck. The movements are involuntary and usually occur before and during sleep. It could last about 15 minutes. The victim can suffer from various injuries tongue biting included. In serious but rare cases, brain and eye damage can occur. The movements usually go unnoticed by the sufferer since they do not cause much pain. They only come to know about the problem after noticing the injuries on their tongue or other parts of the body. In many cases the seizures stop as the child grows up so medical treatment may not be necessary. In adults, controlled sleep restrictions or medical drugs may be used to treat the condition. Bruxism is another cause of tongue biting during sleep. In most cases, it is accompanied by other sleeping disorders such as sleep apnea which causes breathing pauses. Snoring is also a common problem that can accompany teeth grinding. People with the habit of grinding their teeth while sleeping may accidentally bite their tongue. Other causes of tongue biting include Lyme disease, swollen tongue ulcers, tobacco chewing and side effects of some medications. This is a condition where you experience shallow breath or frequent pauses while breathing. The tongue relaxes and can slip between the teeth, resulting in tongue injury. Doctors can prescribe treatment for sleep apnea which can stop this form of tongue biting. This disease negatively affects the brain and nervous system. Incorrect or misfired brain signals are sent to the muscles and nerves causing involuntary movements during asleep that can cause you to bite your tongue. MDMA or ecstasy a synthetic, psychoactive drug that acts as a stimulant and increases energy and pleasure. Many people have damaged their tongue, gums and cheeks from taking MDMA. The drug can increase anxiety and the tongue biting can even feel pleasurable while on drugs. However the damage can be troublesome. Prescribed medications like antidepressants may have negative reactions or side effects and causes tongue biting during sleep. A change in medication could prevent this. DenturesDentures that are not fitted properly can cause you to bite your tongue while sleeping. Nighttime tongue biting is a condition that has disturbed many people leaving them frustrated and seeking answers. Everyone has bitten their tongue at one point or another but this is mostly accidental and happens mostly when eating or talking. It can happen occasionally while sleeping but this is normal. Some causes include having a disproportionately large tongue or having a set of misaligned teeth. Nighttime tongue biting becomes a problem when it is a habit. Millions of people around the world suffer from tongue biting at night. Some people are not aware of it yet since it can be hard to determine the problem especially when it is not as a result of an underlying illness. It may take time before the problem is detected. To determine approximately how many people suffer from nighttime tongue biting, we could look at the number of people suffering from bruxism, epilepsy and sleep apnea. 1 in 3 people suffer from excessive teeth grinding. Millions of people suffer from epilepsy with over 2 million in the United States. Sleep apnea afflicts more than 20 million in the United States with millions more found all over the world. If all these people suffer from excessive tongue biting frequently then there are likely millions of people experiencing nighttime tongue biting. In frequent cases of tongue biting, the lateral sides of the tongue are affected and you develop a condition known as Morsication lingarum which only affects the tongue’s lateral sides. All these may make it hard for you to eat certain types of foods especially spicy ones. Speaking may become difficult and chewing food may be difficult. While biting cannot be controlled there are measures you can take to prevent damage. One of the most effective prevention methods is to wear a soft, thin custom-made night guard on both the lower and upper teeth. 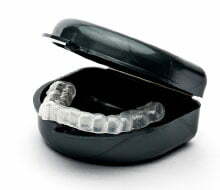 Over the counter night mouth guards will not fit perfectly can cause further oral damage. You can visit your dentist to take dental impressions, create a mold and then a dental lab for a mouth guards specifically for you. But that is the most expensive route. For a more affordable alternative purchase online. This helps to kill bacteria and aids the tongue in the healing process. The solution should be warm with small amounts of salt. Hot water will increase pain and discomfort in the tongue. Avoid eating spicy foods until the tongue heals. PREVENT FURTHER DAMAGE Wear soft dental night guards on both your upper and lower teeth. Choose thin 1mm guards so that they are unobtrusive and easy to sleep with. You will want custom fitted guards for the most comfort. Preventing tongue biting in sleep. The best way to prevent tongue biting problems is by treating the cause or knowing how to avoid it. The following are treatments used for different causes. Cognitive behavior therapy is recommended for people suffering from sleep apnea. Rhythmic movements are usually associated with children and can disappear as the child grows older. This might not require pharmacological treatment. If your nighttime tongue biting is caused by seizure than the normal course of treatment by a doctor should be followed. If treated successfully it will prevent tongue biting. There are several medications for tonic-clonic seizure. Going for vagus nerve stimulation device may also reduce the chances of seizure occurrence. Bruxism requires you to treat the underlying cause. Cognitive behavior therapy is recommended. It helps in dealing with anxiety and stress which are major causes of bruxism. Ensuring that your mind is relaxed before going to bed can greatly reduce the chances of bruxism. Protecting your tongue during sleep using a night mouth guard. Standard & boil/bite athletic mouth guard: These guards are completely different than dental night guards. 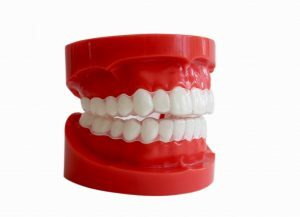 These are the mouth guards used by persons who play sports. They are made from tough plastic and either cannot be adjusted or conform to your mouth by using hot water and manual manipulation. They are available in most sports stores and are NOT recommended for wearing at night. These are one size fits all, mass produced night guards designed for nighttime use. They are largely seen as too bulky, ineffective and uncomfortable though they are affordable. These are made from a special kind of plastic that allows you to semi custom-fit them. They’re softened by hot water and then adjusted to fit your mouth. They are available in most CVS or Walgreens stores. Sentinel Soft Dental Night Guard. For tongue biting it is recommended to wear a soft dental night guard on both the upper and lower teeth arches. Use promo code “big spender” to receive 20% off your order. Free all inclusive shipping in the USA. These are made in a dental lab to fit your mouth. The dentist takes an impression of your teeth and then creates a model. The model is then sent to the lab for to make a guard taken from the model. 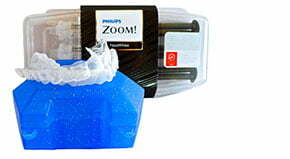 You can also order online and take your own dental impression in the convenience of your own home. 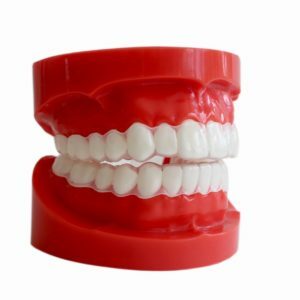 Your dental impression is sent to the Sentinel dental lab using our convenient mail-order system. It is always best to consult a dentist before buying a night guard. 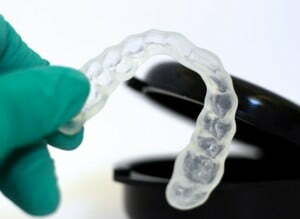 They will help determine the best mouth guard for you, especially if your tongue biting is caused by seizure disorder.